The college admission process is far more complex and competitive than it used to be. And the counselors at your high school are probably responsible for hundreds of students, making it difficult for them to give your child enough time, attention and advice. That’s why so many students today use independent college counseling services, like Magellan. Our goal is to organize the college search process, reducing your child’s stress – and yours. We recalculate students' GPA using the same formulas and classes that colleges use. We help them decide which honors and AP courses to take, and present options for academic enrichment outside of school. We help students build and enhance their resume of extra-curricular activities, community service and employment. With our advice and guidance, students present their leadership and involvement in the most effective way. Helping students develop a balanced college list is the heart of our work! We guide students as they envision their ideal college environment and partner with them to create a balanced list of colleges where they know they'll fit in academically, socially and emotionally. Students have many opportunities to interact with the admission counselors who will read their applications. We prepare them to meet these important representatives during visits to their high schools, or when they visit college campuses. We help students and families decide how to optimize their summers, both with academics and extra-curricular activities. Our students have accounts in our online college planning software, where we customize task lists and timelines unique to each student. Our system even sends them reminders to complete their tasks! Ah, the dreaded college essay. We work hand-in-hand with our students through every stage of the essay process, ensuring that they present their authentic voice to help colleges see their potential contribution to the campus community. Sometimes you only get 30 minutes to impress an admission counselor. We prepare students to shine in this brief but important step of the process! Teachers and counselors often ask for a resume or a brag sheet before they will write a letter of recommendation. We help students create this important document. It's not unusual for most teens to not really know their major or career direction! Our tools help students explore their interests and strengths, giving them options to learn about and consider. These tools also give us a great starting point as we begin their college search process. We’re happy to have an initial conversation with parents with students in 8th or 9th grade; our comprehensive package begins in January of 10th grade. Students who begin working with us at this point have far more flexibility and many more paths to explore. 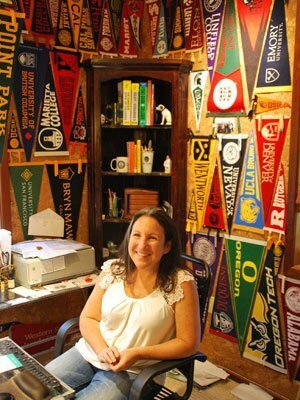 What Makes Magellan’s College Counseling Services Different? Magellan counselors approach our work with students as a two-phase process. The first phase is “College Search,” in which we assist students in researching the colleges that fit them academically, socially and emotionally. The second phase is “College Applications,” in which we help students complete all the tasks they need to complete to successfully submit each application on time. All of our counselors are actively involved with multiple professional organizations that focus on college counseling as a profession. This means we are constantly refreshing our knowledge, visiting colleges and meeting with college admission officers. Magellan has six counselors in our practice, and we discuss our clients as a team on a regular basis. Frequently, more than one of our counselors will read your student’s essay(s). You’ll have one main point of contact, but you’ll receive the benefit of all of our counselors’ years of experience as we work with your child through the college search process. Let’s see how we can help you and your child plan for college today with Magellan’s professional college counseling services.